Over 260 million people across the globe suffer from anxiety disorders; whether it's panic disorder, post-traumatic stress or social anxiety. In America, it's costing $2.5 trillion to manage patients' diagnosis and that's expected to triple by 2030. It's something tech companies are thinking about a lot these days. For example Instagram recently launched a new feature for suicide prevention by reporting troubling photos, but what if mental illness could be managed with wearables? 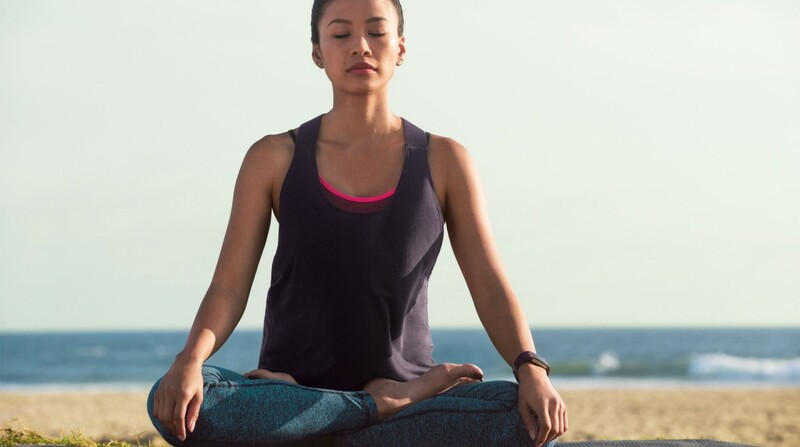 We've seen new features like breather reminders and heart rate variability brought into some of the latest devices, aimed at tackling anxiety and stress, and a number more are looking to tackle mental health monitoring in 2018. That includes mental health trackers, which are useful for hospitals, doctors and patients who want to track early warning signs of a disease or a changing health status, as well as wrist wearables, sensor patches and smartphone apps. But what else? Just last month, America's U.S. Food and Drug Administration approved Abilify MyCite, the world's first pill which can be tracked by an ingestible sensor when the tablet dissolves in the stomach. That's then detected by a wearable patch on the abdomen to track pill intake on patients with schizophrenia, bipolar disorder and depression. The pill's ingestion sends information to a smartphone app, which doctors and caregivers can track. Some of the reasons why people don't take their medications could not only be memory loss and forgetfulness, but a disability, or a disease-related, psychological or organizational issue. However, some say tracing anti-psychotics introduces another problem - a "biomedical Big Brother" - while others question the role pharmacists will play with mental health wearables, especially those which control the use of medication. " Who will be responsible for managing this data?" asks Timothy Dy Aungst, PharmD, an assistant professor of pharmacy practice at Massachusetts College of Pharmacy and Health Sciences. "Will it be providers or pharmacists who have the data and are expected to encourage patients to be adherent? Conversely, what happens if a patient is non-adherent and that leads to a negative health event? Will those who have the data be held responsible?" Algorithms that can be used for wearables may help track mental health patients, like Mindstrong, a startup creating technology to diagnose and treat mental disorders. Their current project is searching for a way to track mental health in typing pattern behaviour. By looking at speed, latency, keystrokes and error patterns, they're working on a way to correlate keyboard use with patterns of mania and depression. Wearables are also being developed for developmental disorders and disabilities such as autism. The Reveal band is a wristband by Toronto-based Awake Labs designed for autistic patients who suffer from anxiety. It tracks anxiety with algorithms related to the wearer's heart rate, body temperature and sweat levels to help prevent meltdowns and will soon be available for pre-order. Meanwhile over in the UK, research project AffecTech is focusing on advancing wearable technology for mental health support, specifically those suffering with anxiety, depression and bipolar conditions. "Personalised health is one of the strategic research areas for Horizon 2020, the EU's research and innovation programme," says the team, which aims to "advance the state-of-the-art of personal health technologies for affective disorders, estimated to be the highest ranking cause of disease by 2020." Another research firm looking to enter the market is AiCure, which explores AI benefits in the health industry. Its forthcoming app will allow doctors to track whether their patients are following a daily schedule of pill-taking reminders and clinic visits. But it shouldn't be limited to just doctors; this is a discussion pharmacists should be included in, believes Dy Aungst. "I would love it if the pharmacy profession was responsible for the rollout of this technology," he tells us. "We're in a great spot to tackle this, as we are dedicated to getting medications to patients, and spend a lot of our time counselling and addressing adherence." An estimated 5.5 million Americans in 2017 are living with Alzheimer's dementia, and for these patients connected tech creates a way for them to retain some independence. As part of the UK's government-run National Health Service pilot project, dementia patients have their diet and sleeping patterns tracked by sensors on everyday appliances in their homes, allowing them to be more independent. "Trials of this sort are vital to know whether new technologies can have a real impact on people's lives," said Hilary Evans, Chief Executive of Alzheimer's Research U.K., a leading dementia research charity, last year. "It's good to see that tools aimed at helping people with dementia are being evaluated as part of this scheme." To Kathryn M. Salisbury Ph.D., vice president of the Mental Health Association of New York City, wearables used for these purposes must undergo a deeper evaluation than they have in the past. "There is no question that wearables and mental health apps provide opportunities for self-management and monitoring of behavioral health conditions," she says. "However, few of them have undergone rigorous evaluation - and their design is effective often because they use already-proven interventions like behavioral activation or cognitive behavioral therapy." She also notes that persistent engagement is a determining factor in how effective they can be. "A majority of the users of wearables or apps stop using the wearable or app after a few months," she says. "When clinicians and care managers get regular data feeds from the client, they can initiate outreach to the client and provide encouragement to continue with the program." This is the beginning of an industry which could soon see a boom, although wearable-connecting apps might not be the be-all, end-all. "Americans are overworked, underpaid with no vacations and stressed as a society, but we don't address the underlying issues," says Dy Aungst, "whether it's financial or social stability, and instead look for technology to find a way to make us manage it better."